I am a huge fan of the campaigning/support group Women in Journalism (let’s face it, I am a fan of women in anything!) Seriously though, WiJ, as it’s members call it, is playing an important part in promoting gender equality in journalism. By which I mean ensuring women get a fair crack of the whip. It’s really important. Journalists choose and influence the news, the news presents us with a view of ourselves, which influences us to a much greater degree than we realise. If we get the news primarily through the male filter we are missing out. Or perhaps that should more accurately read being missed out. 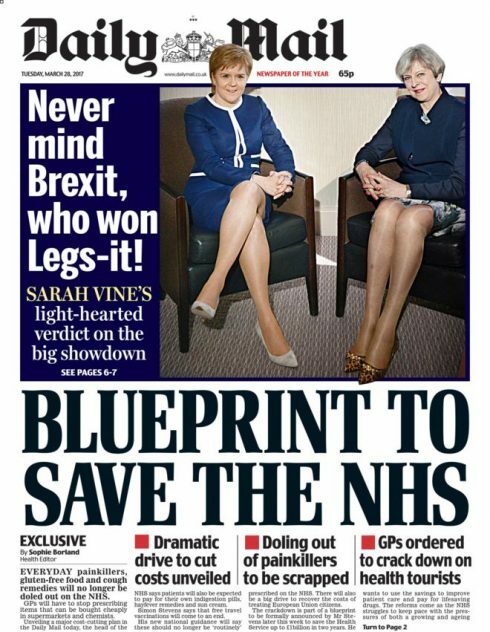 We get photos and headlines like the one above which only serve to demean women. (I wrote about it when it first appeared, How to Belittle Powerful Women). Who wants to pursue a career in politics when you are pretty certain to be subject to abuse of a very sexist nature, much more violent and vitriolic than that meted out to the men. Sometimes we women don’t get any photos at all, never mind ridiculous ones as above. On my Speak Up course I often grab a copy of a newspaper and flick though it looking only at the pictures. I like to pretend I am an alien having landed on earth (I am a bit weird, I know,) and want to know where the power lies. But I haven’t yet learned English so I look at the pictures. There is no doubt about who rules the world. Men, white men. Newspapers are full of pictures of them. The balance only changes when you get to the ‘society’ or frivolous pages where you’ll see loads of women, usually not wearing many clothes. To add insult to injury, once my alien has learned to read, she discovers that most of these ‘frilly’ pages are edited by women because women rarely get the serious jobs in media. Eleanor Mills is Editorial Director of The Sunday Times, Editor of The Sunday Times Magazine and chair of Women in Journalism. She wrote an excellent piece in the LSE Business Review prior to a WiJ debate on this topic, which you can read here. You might also like to read this piece about another journalist, Catherine Mayer, doing her utmost to swing the balance to a more equal society.You can also follow WiJ on Twitter, if you wish. I was a little apprehensive at first having never attended anything like that before but I need not have worried.Within the first 20 minutes I was feeling relaxed and comfortable. I never felt under pressure to take part in any of the discussions or exercises and was totally at ease with everything that came my way. I left the course with a new found confidence and have already put into practice some of the things I have learned. I would thoroughly recommend anyone at a crossroads in their life to give this course a go, it will make a difference, I promise! A renewed and much more confident Susan. 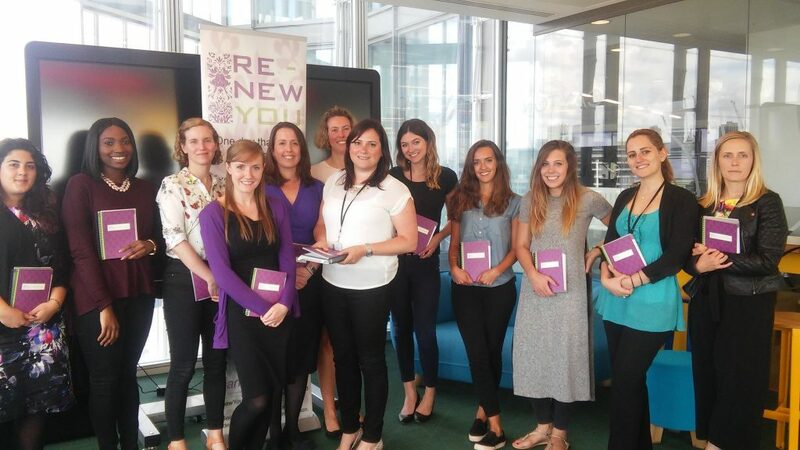 Below is a group of women, all working for News UK as it happens, who undertook RenewYou with me in-house. Check out the RenewYou link here for more details and simply reply to this email if you have any questions.